Walnut veneered plywood inlayed with crystals. With hanging structure on the back. Under the title “Carats”, evocative of luxury and poetry, Philipe Cramer draws a seat, both strict and sensual, inspired by the church bench. 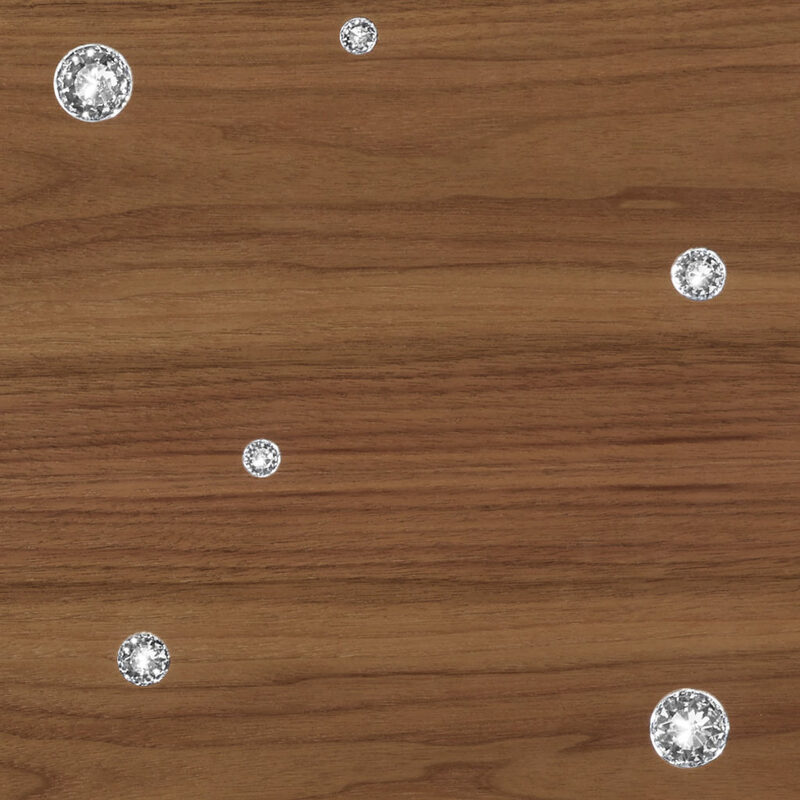 The walnut surface is encrusted with sparkling, clear crystals, whose random positioning is reminiscent of a celestial vault cartography. By their transparency, their purity and the geometrical precision of their facets, these stones seem to invoke the divine in contrast with the organic and earth dimension of the walnut capillary structure. 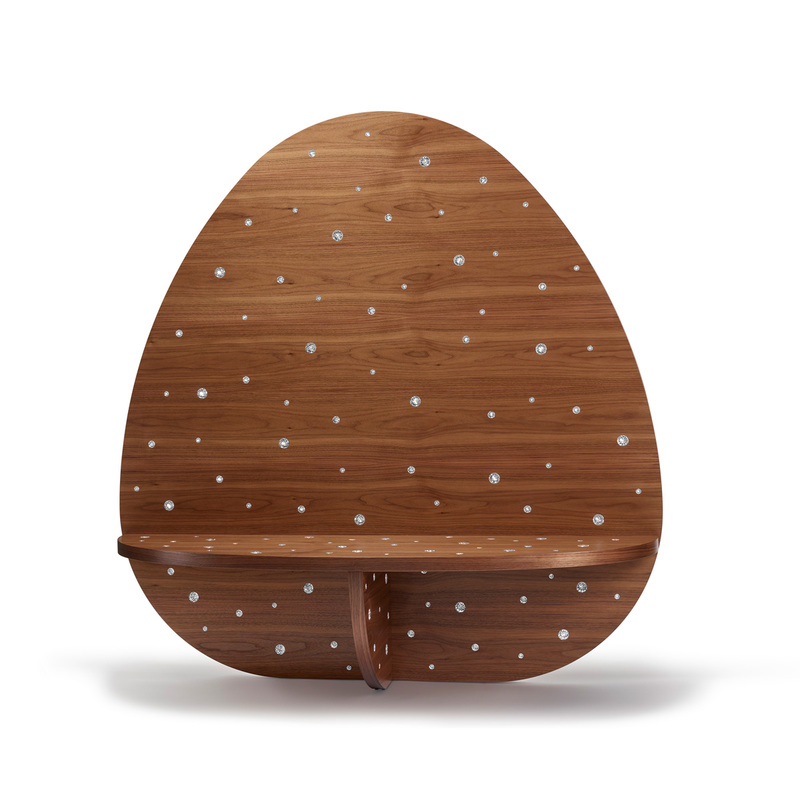 The minimal seating surface of the bench creates an illusion of structural lightness and intensifies the fairy and allegorical sense of the work.